BevNET Live is sold out, but more tickets may become available. Is it possible to incubate social meaning while providing financial and organizational assistance as well? And how can brands help contribute to – or accelerate — the ongoing food revolution, the same one whose underlying principles have allowed those brands to thrive? Two broad and seemingly disparate questions indeed, but ones that will be probed during a discussion with Shen Tong, the co-founder of incubator fund Food Future and a public intellectual who is deeply concerned with creating global change in the world’s food supply. Through Food Future, Mr. Shen is investing in, advising and supporting socially progressive food and beverage companies in ways that can amplify a variety of facets of conscious branding. Presenting at BevNET Live, the highly successful entrepreneur and activist will outline the methods and purpose propelling him to form Food Future as an incubation vehicle. After presenting on the ways Food Future is “Feeding the Food Movement,” BevNET Live attendees will hear from Hella Co. and GIVN Water, a pair of companies that are burnishing both their business practices and their ability to establish social change through work with the organization. The path that brought a leader of the Chinese student democratic movement into the food and beverage industry isn’t that circuitous, according to Mr. Shen: he has spoken about equal access to quality food with non-destructive origins as one of basic rights. The process of laying out the idea that entrepreneurial beverage brands can join in scaling change throughout the food system is one that will create a unique, important and memorable segment of the BevNET Live experience. BevNET Live tickets are running out quickly, so contact Jon Landis as soon as possible for your chance to attend. Shen Tong is a serial entrepreneur, impact investor with 30+ food innovation investments and other media, and high tech investments. He is founder & MP of Food Future. One of Newsweek’s People of the Year in 1989, Shen Tong was an organizer of the democracy movement in 1989 that occupied Tiananmen Square while he was at Beijing University. After his exile to the U.S., he finished his undergraduate degree at Brandeis University, and went on to study in PhD programs at Boston University and Harvard University. Mr. Shen became an entrepreneur in the 1990s, founding or co-founding, B&B Media, and VFinity among other ventures in the past two decades, serving on boards and advisory boards including Food Tank, Change Food, Poets & Writers. He founded FOOD-X in 2014; also serves as venture partner of SOSV – the accelerator VC, a global multi-stage venture capital fund. Shen is a long time social activist, film buff, avid traveler, foodie, and a writer/poet. 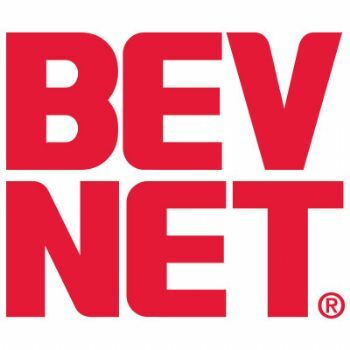 Taking place at the Metropolitan West in New York on June 14 & 15, BevNET Live Summer 2016 is a two-day forum for beverage entrepreneurs, suppliers, distributors, retailers and investors to gather and exchange ideas through interactive panels, lectures, and networking. Attendees are able to access the expertise of investment professionals on ways to attract funding, successful brand owners about their inspiring stories, retail and distribution gatekeepers on growth strategies and industry advisors on sales, marketing, and branding challenges. BevNET Live offers extensive and in-depth programming and networking with other attendees and the BevNET.com community, which has spent more than a decade dedicating itself to careful reporting on the fast-moving beverage industry. More than just a conference, BevNET Live includes exclusive offerings including the BevNET Live Expo, the New Beverage Showdown, a Sampling Bar option for all attendees, a Beverage School for new entrepreneurs, and more.